+/- 20 gross acres. 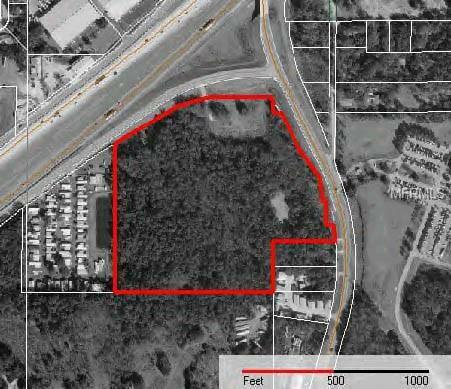 Corner commercial or industrial site with I-4 frontage. Near BrewHub and Interstate Commerce Park on the corner of Galloway Road and South Frontage Road (South side of I-4). Big price reduction for fast sale!The entire property is 23 acres however the Billboard/Billboard Lease and the parcel under and accessing the billboard are not part of the sale and will be cut out of the property prior to closing sale.Also note there are wetlands on a portion of the property. Listing provided courtesy of Steinbauer Associates Inc..